Fantastic short book! My favorite quote: "Facts, delivered poorly, are facts to very few people." If you're a crusader about anything, highly recommend it. I care most about drug policy, not environmentalism as the author does, but 95% of the book can be applied to any passion that you want to communicate clearly and invite people to explore, as opposed to turning them further away from it, which is a net loss for you. 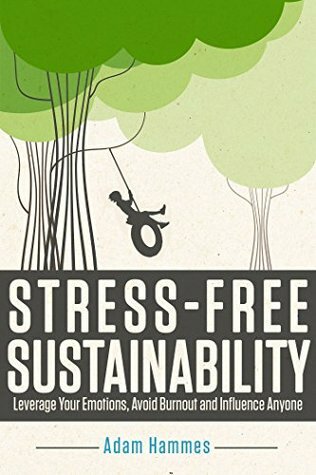 Addresses how to keep from burning out, how to work smarter instead of pouring energy into dead ends, and the most helpful part of the book: How all of us live on any given issue in either Contempt (can be active, or passive as in just not interested), Curiosity, or one of 4 stages of Commitment. His explanations of these stages, the internal stress or peace that people in each stage feel, and the kind of interactions that are most helpful for people at each stage was worth the price of the book alone. Made total sense when I think of all kinds of beliefs I'm in one stage or the other on, but I've never thought of it being a broader experience instead of just my own. And it's only 110 pages, which is about how long I think every "helping" book should be. Great read that I'll be pondering for awhile. If you ever wanted to make a difference but felt frustrated influencing those around you, this is the book for you. LOVED IT and excited to do some of the exercises with my brother. I was a little skeptical when he bragged how wonderful the book would be at the beginning, but he was completely right. A very helpful book that's not even a long read. Easy to get on the Kindle Store. A useful reading for anyone involved in advocacy and campaigning for good causes. Project managers might find it handy, when implementing change and dealing with stakeholders. Contrary to first impressions, this book is not a biology book. Animal images are metaphors the author uses skillfully.